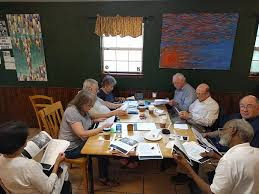 There are times when our Thursday morning Torah learning becomes its own time of prayer, gathered around the large coffee shop table placed especially for us. Learning is indeed meant to be its own way of prayer, passages of study inserted in the Siddur, the Jewish prayerbook, words of Torah as God’s word encountered on the page, joined with our own words, rising together on wings of heart’s yearning and mind’s delight. Providing prayerful context for the saying of Kaddish, mourners are given an opportunity to say the Kaddish d’Rabbanan/the Kaddish of the Rabbis following our learning. Gathered there around the table, saying Kaddish, remembering; encountering the holy in the midst of the ordinary. Around the table, we become together the vessel to hold what each one brings. There are times when the vessel is quickly filled. As so often, we began with what would appear to be rather prosaic verses, surely not ones that jump out with meaning at first glance, the ordinary waiting to be recognized as the holy that is right there before our eyes. In the weekly Torah portion called T’rumah (Ex. 25:1-27:19), God calls upon us to build a sanctuary that God may dwell among us, v’sho’chanti b’tocham/and I will dwell among you. God does not need a sanctuary in which to dwell, but we do if we would dwell together. 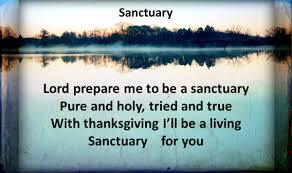 The sanctuary is the means of our convening, of our being together, thereby to feel God’s presence among us. As our eyes are opened, meaning quickly emerges from the seemingly prosaic. Excited by the purpose of the sanctuary, not as a dwelling for God, but as a place for us to gather with each other in God’s name, we consider the items that are to go into the sanctuary when it is built. The first item is the Holy Ark to hold the tablets, as the Holy Ark in synagogues today is the dwelling place of our Torah scrolls. We are told ever so simply, v’asu aron atzei shitim/they shall make an ark of shittim wood. Later, in Deuteronomy (10:2), coming now as a reminder, it is more basic, to be an aron etz/an ark of wood. In the portion T’rumah, there is more, not only specifying the type of wood, but of how the wood is to be surrounded and enveloped by gold, v’tzipita oto zahav tahor mi’bayit u’mi’chutz/cover it with pure gold, from the inside and from the outside…. 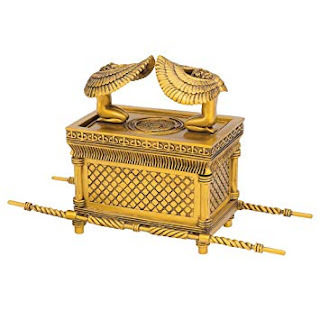 Drawing on traditional understanding of wood overlaid with gold inside and out, the great commentator Rashi teaches from eleventh century France that the ark is in fact formed of three boxes, sh’losha aronot, two of gold holding within themselves the essential one of wood. We pause here with the wording in Hebrew for inside and out that describes the placing of the gold. Something stirs in the text and within ourselves, far from prosaic, deep and poignant, why the phrase mi’bayit/from the house, as though to tell of what is truly of ourselves, the feelings we have when alone at home, all of the thoughts and feelings, the yearning and longings that come along the way of life. So shall the holy ark be gilded with the pure gold of all that comes from within ourselves, brought out from the innermost and placed as well upon the outermost, there made visible, meant to be shared. 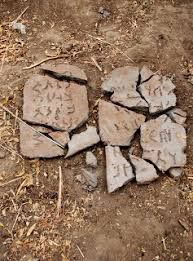 the shattered fragments from the first tablets that Moses had thrown down in anger. It was a moment of such brokenness when Moses came down the mountain and saw the people dancing around the golden calf, then of precious metal misused and made as dross, the gifts we are given misused and abused, whether of body or of possessions. The people were in a state of brokenness. Moses was in a state of brokenness. The shattered tablets tell of life as it really is, littered with the shards of shattered dreams and hopes that are still holy because we dared to dream and to hope. We cannot be whole if we pretend there is no brokenness. The whole tablets are to dwell in the ark of wood, and so too the broken shards of the tablets that were shattered in anger. Only if both are placed within the ark can we learn of life’s wholeness. Wholeness is not the same as perfection. Perfection is an illusion that distracts from life’s meaning to be found along the way of living. Perfection is in the striving. In striving we fail and fall at times, and in our getting up we become imperfectly whole. The whole tablets are only whole because they dwell with the broken tablets, because Moses got up and went back up the mountain. All of life is held in the aron etz/the ark of wood. Overlaid with the preciousness of life’s striving, the pure gold of loving and creating and doing good, the qualities that define us are imperishable in their continuing to tell of who we were when we have gone. Of material possessions, whatever is acquired in the living of our days are meant to embrace the organic essence of life itself, to be in its service. The innermost vessel of wood is the aron, organic and therefore imperfectly whole, ephemeral in its decomposing in the passing of time. As the Holy Ark of wood, our essence is within, the physical to be honored, the body as sacred because it is the vessel of the soul. As the body is the vessel of the soul, the vessel in which the body is placed in death is also called aron, also a holy ark as the vessel of the body’s return to the earth from which it comes. So this aron too is to be completely organic, without metal, neither screws nor nails, only wooden pegs with which to fasten, the gold of life's external sheen put aside and left behind, shining now for the living to tell of who we were, rays of light to shine as a blessing. A midrash subtly shifts the word for ark and speaks not of aron, but of teva. It is a word that we understand as ark, but in a different context, and yet in the turning of life somehow the same. 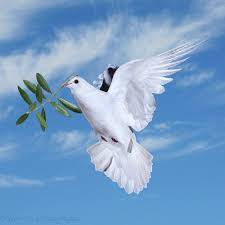 Teva tells of birth, of emerging through the waters, the ark upon the flood, tevat No’ach/ark of Noah, new life emerging with all the hope and possibility of an olive sprig held in the beak of a dove. Telling of a baby, Moses in the basket, the teva among the bullrushes at the river's bank, saved by compassion sprung from hate, the daughter of Pharaoh defying her own father's edict to kill. Violence that filled the world until it could not be sustained, life and death, love and hate weave together, all held within the ark of life, all within the rainbow’s arc of hope renewed. And teva also means word, the vessels we create that sail from our heart's innermost harbor across the banks of our lips and out into the sea of life, whether words to heal or words to hurt, vessels to carry precious cargo, love and hope as the gold that overlays all that is innermost, organic and perishable, thus the truly precious in its fleetingness. Words flowed around the learning table, and tears, moments of brokenness recalled and placed lovingly in the holy ark of memory, safe to share among us. Around the table, we become together the vessel to hold what each one brings. And in the end, when Kaddish has been said, honoring the living and the dead, vulnerable enough to acknowledge the brokenness that allows for wholeness, the shattered fragments to remind, then together we say, Amen.